Episode 24 – Happy Podiversary to us!!! Welcome back everyone! If you’re new to us, thank you for giving our podcast a shot! This is our 24th episode which means….HAPPY PODIVERSARY TO US!!! We’ve so enjoyed doing this podcast for 1 year now and we look forward to more years in the future. Sophie’s Universe CAL ending May 31st but pattern is still free through Ravelry. Dedri Uys is the creator of pattern and the CAL is hosted on lookwhatimade.net. 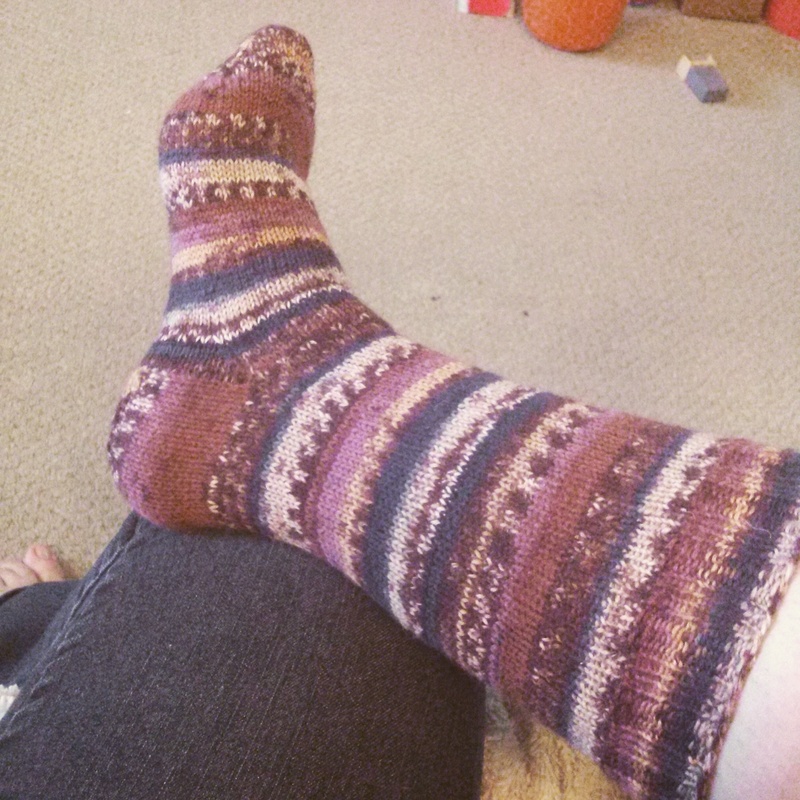 Katy finished one of her Toasted Almond socks out of Red Heart Heart and Sole sock yarn in ‘Toasted Almond’. She is also 7 rows away from finishing her Mama Vertebrae!!! So next episode, she’ll have a FO! Valerie is on the peach colour of her rainbow granny square afghan and it’s looking great! She’s also continuing on the Broad Ripple socks and her Easy Triangle Shawl. 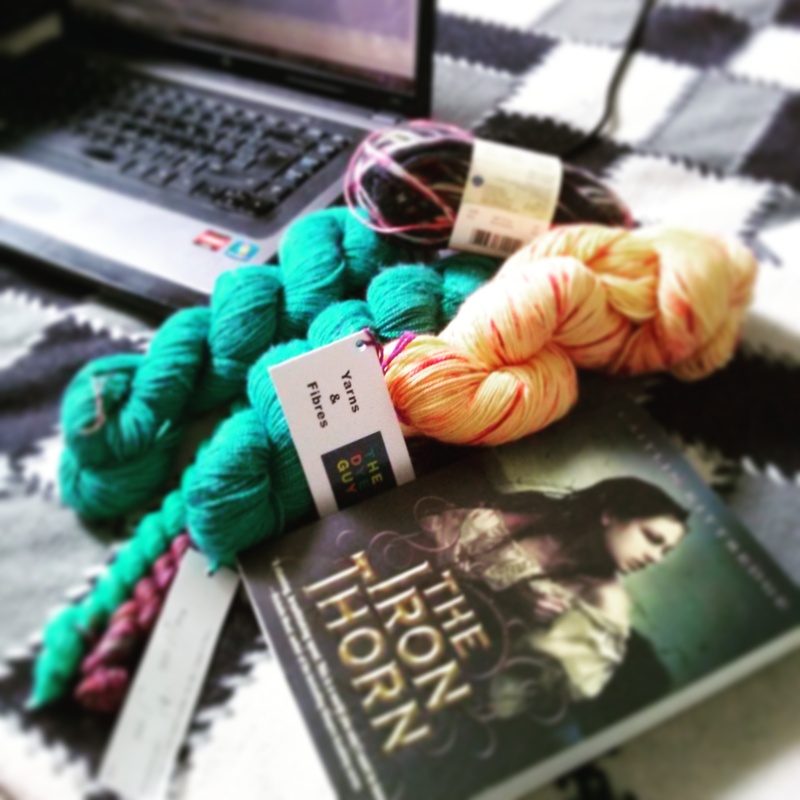 She is also planning on casting on ‘The Age of Brass and Steam’ kerchief with her KnitPicks Hawthorne in ‘Ladd’s Addition’. Katy is monogamously working on finishing her Mama Vertebrae out of Malabrigo Arroyo in ‘Aguas’. She also cast on the April shawl by Joji Locatelli with KnitPicks Palette in ‘Huckleberry Heather’ and is using clear rainbow beads with it. And she is also improvising a shawl with the ‘Peepaloo’ yarn she purchased from ‘Peepaloo Fields’ on Etsy. YOU HAD US AT YARN! 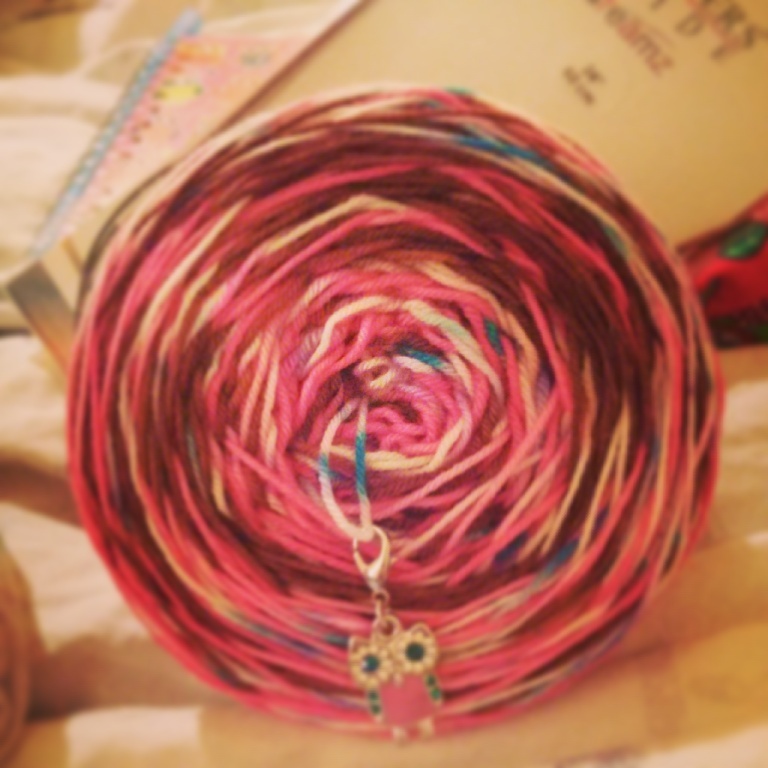 Val spotted a really pretty skein of ‘Pink Pop’ yarn and ‘Ice Fishing’ at LYDIA Yarn on Etsy. Both skeins are gorgeous and speckley! Katy found lots of skeins of yarn that she liked at The Lemonade Shop on Etsy. There was Hippo Disco, Safety Dance, Princess of Power (which Val wanted too! ), Sunday Morning and Sunshine + Lollipops! Basically, Katy wanted everything in that shop! Val bought a pair of jeans from Old Navy that fit like a dream! Also, she picked up a copy of ‘The Necromancer’ at the Book Outlet! Valerie is watching Outlander and enjoying it immensely, as is Katy. Valerie is also watching Game of Thrones and is pretty disappointed about the amount of alteration in the books – adding unnecessary issues and drama. Her husband saw Mad Max: Fury Road and loved it and Valerie watched As Above, So Below and thought it was an awesome scary movie! Katy finished reading ‘The Fault in Our Stars’ and found the movie to be very close to the book and she enjoyed it. She’s watching Outlander, Finding Carter and lots of WWE events. She is starting to read ‘The Iron Thorn’ by Caitlin Kittredge and really likes ‘What Kind of Man’ by Florence and the Machine.